West Gippsland’s Leading Rubbish Removers! Do you have an upcoming renovation project and are now left wondering how to dispose of the resulting waste? 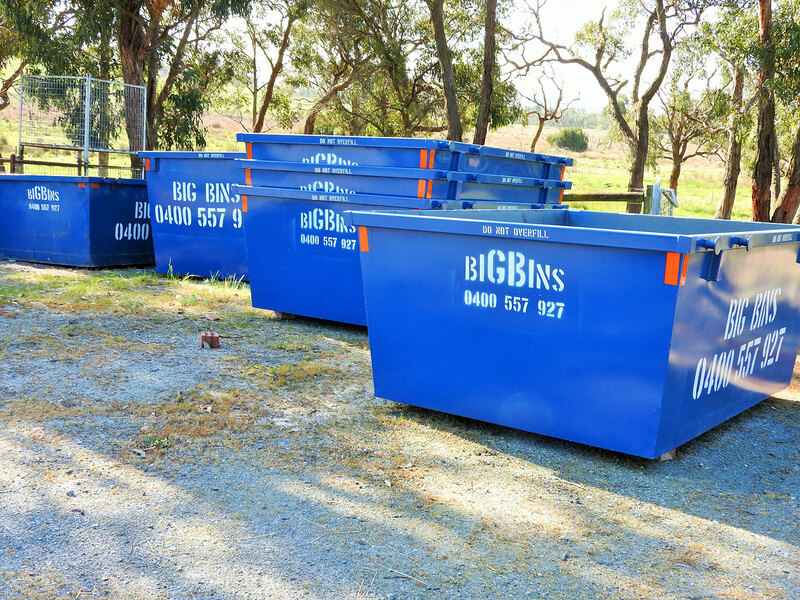 Are you searching for a reliable skip bin hire in West Gippsland that’s flexible to your needs? When you call Big Bins, all you have to do is let us know what size bin you are after and if you are not sure, we will try our best to help you. At Big Bins, we’ve been servicing the Warragul and Pakenham regions for over 15 years, and we’re excited to now extend our services to West Gippsland and the surrounding suburbs. We believe in providing a reliable bin hire services and delivering and maintaining a high level of customer satisfaction, and we’re proud to say that we never disappoint. We offer competitive prices, prompt skip delivery and removal, and a huge range of bin sizes to suit your specific needs – our sizes range from 2 to 18 cubic metres and everything in between. There’s a reason why Big Bins is the leading skip bin hire service in Melbourne’s south-eastern regions. Our skip bins are ideal for most types With the ability to handle general waste and clean-ups, garden and shed waste, commercial and home renovations, factory clean-ups, rubble, concrete, industrial waste and so much more. On top of all this, we’re also committed to delivering environmentally friendly and efficient waste removal solutions for all our customers. We’re proud to be the best rubbish removers in West Gippsland, Warragul, Pakenham and surrounding areas, giving our customers high quality service and the best value for money around. Enquire today and we’ll find the ideal solution for your waste removal needs. To find out more about our prompt and reliable bin hire service in West Gippsland, contact us today! Call Andrew on 0400 557 927, to find out about pricing, booking enquiries and the selection of bins we have available. You can also get in touch with us by using our online enquiry form, and one of our team members will get back to you shortly. We look forward to working with you soon. You can arrange for bins outside our normal hours.